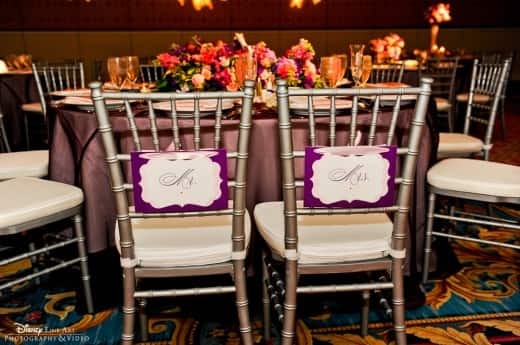 I get so excited watching trends grow in popularity and love seeing our team at Disney's Fairy Tale Weddings & Honeymoons make these ideas come to life. 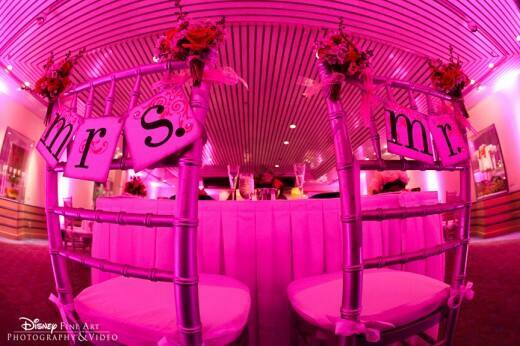 My latest obsession is the perfect addition to any reception- Mr. and Mrs. chair signs. 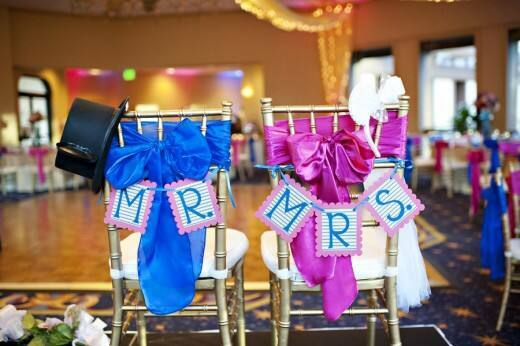 Gracing the back of the bride and groom's chairs at the reception, they're a playful way to have fun with your new titles. If you're feeling crafty, these signs are inexpensive to create and make a big impact- plus, they give you the perfect excuse to put your knack for crafting to work. First image courtesy of Sarina Love. Party on!